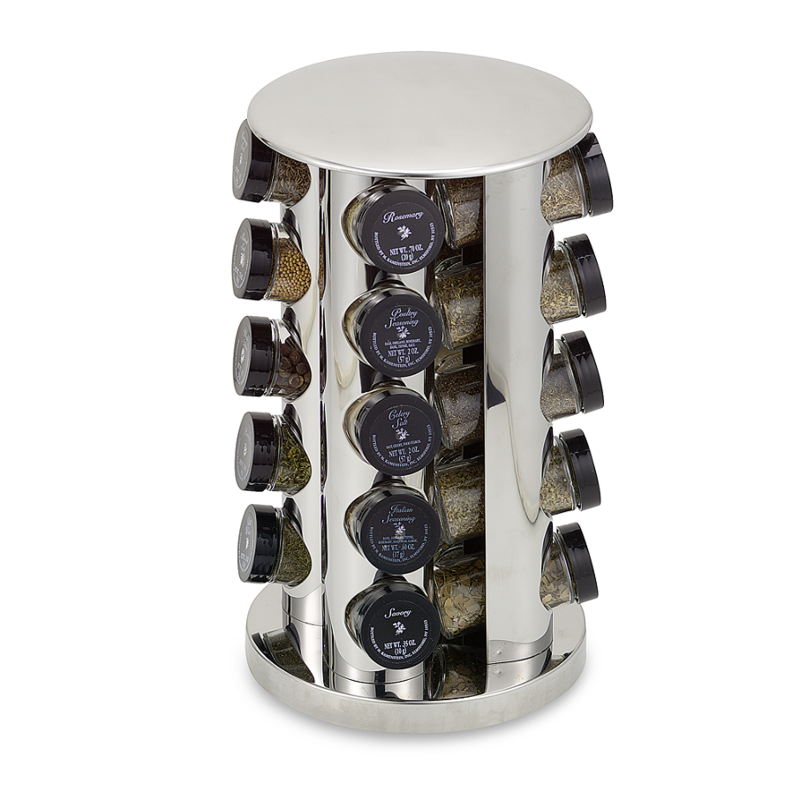 This attractive stainless steel spice rack comes pref-filled with popular gourmet spices. Spice rack rotates on a lazy Susan base to make viewing and retrieving spices easy. Spices included are basil, crushed mint, parsley, oregano, celery salt, dill weed, rosemary, whole allspice and much more. Includes free refills for 5 years. Measures approximately 8 1/2" x 8 1/2" x 13 1/4".